20 TV shows, 20 season-series finale episodes. Ology.com created a list of the TOP 20 season/series finale episodes since 2000. 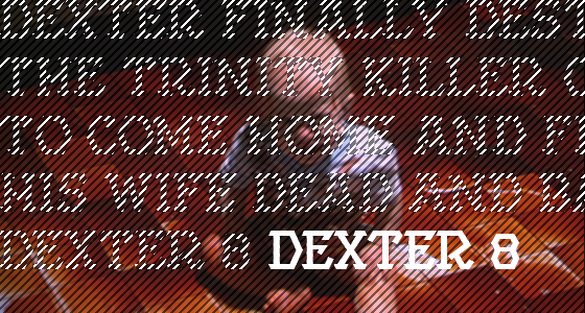 Dexter's shocking & amazing season 4 finale "The Getaway" is on number 8. In our opinion it truly deserves to be on the top 3. Click here to see the complete list. Lol. Where is Scrubs on that list? It should be on it for sure. The series finale was amazing, and no I'm not counting the abomination that is season 9. One Tree Hill finale ahead of The Shield? The list lost all credibility right there. That list is moronic, how the hell is the season 3 final of BSG not on there? The Friend's final is on there, but not the Frasier final which was about ten times the quality? Good grief... typical bimbo's.